IDF young social ambassador G.R. 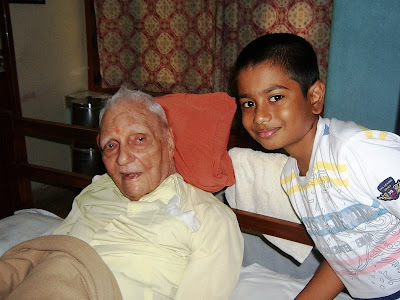 Shankersai reports from Hyderabad…….It was a memorable day for me to meet the nine-a-genarian Lt.Col. 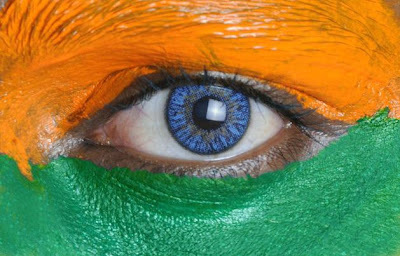 G.P.Nayyar (Retd) on the Independence day. Lt. Col. G.P. Nayyar was an army doctor and also served at the UN Hospital at Kongo for a year. 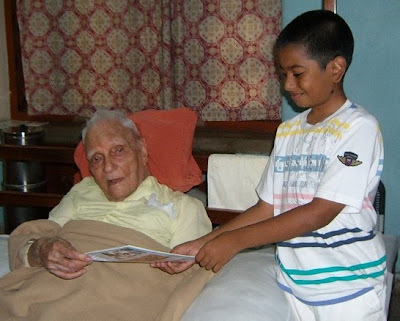 At this age of 92, he takes active part in the activities of Yogoda Satsang Society of India. Incidentally, Lt. Col. G.P. Nayyar is the elder brother of famous music director O.P. Nayyar. A great philanthropist and a respectable person in the society, Lt. Col. Nayyar was all praise for IDF activities and congratulated me in my social mission. He was happy to receive Joint Action magazine. Lt. Col. G.P. Nayyar is seen with Shankersai. Mr. Narasimharao, Secretary of SAHARA - a volntary organisation in Hyderabad, congratulated Shankersai for his social work. 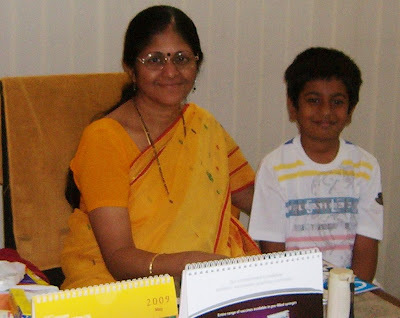 Dr. V. Rajalakshmi, Director of Ranga Nursing Home at Chennai congratulated Shankersai for his social mission. Indian Development Foundation organised a health awareness programme for the students of Cathedral High School at Bangalore on 18th Aug. 09. 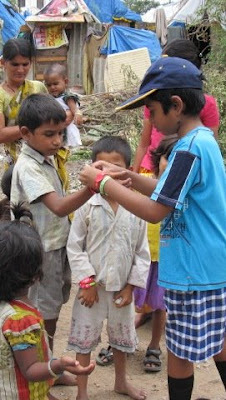 The students received scientific information on TB as well as Swine Flu. Dr. S. Franklin and Mr. Vincent Samuel from IDF talked to the students while Mrs. Sarah Timothy, Social Service Co-ordinator organised the event. The students came forward to support various social causes of IDF. Nandi School, Bellary extended all support for IDF's humanitarian programmes. On the eve of Independence Day Mr. Seemant Kumar Singh IPS congratulated the students of Nandi School for participating in various health programmes of IDF. Appreciating the work of Indian Development Foundation, Mr. Umair Ahmed, Director (Academics) of Nandi School presented the resources voluntarily mobilised by the students for the noble cause. Mr. C.R. Gonsalves, co-ordinator of the school organised the event. Dr. S. Franklin and Mr. H. Gurumurthy from IDF thanked Nandi School team for the excellent support rendered for leprosy/ TB programmes of IDF and later participated in the peace march rally. 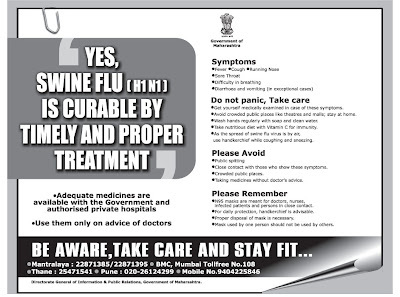 Indian Development Foundation organised awareness on Swine Flu for the students of Kendriya Vidyalaya NAL, Bangalore. 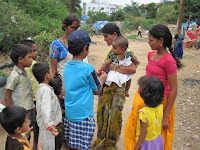 IDF young ambassador Shankersai went round the streets of Hyderabad and tied Friendship band to the poor children on the Friendship Day observed on August 2. 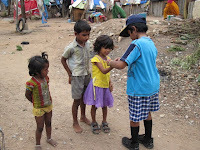 I felt happy tieing Friendship band to the poor children and explaining to them the importance of Friendship was a happy moment for me, said bubbling Shankersai. 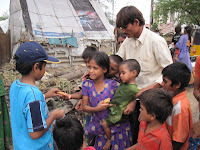 While we celebrate important events, we should also share happiness with the have-nots in the society, expressed Shankersai as he distributed sweets and cakes to the children. Master G.R. 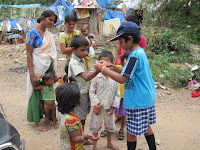 Shankersai, a class 5 student of Kendriya Vidyalaya, Begumpet, Secunderabad and IDF young ambassador organises various social events with the poor and the needy people. It's my passion to serve the society at large, said Shankersai with a smile. 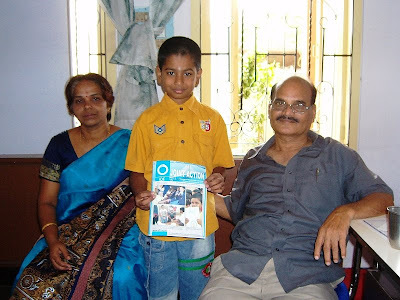 My parents also encourage me a lot in my social responsibility acts, said Shankersai.